Photo courtesy of Patrick Wilkin. I am listening to myself breathe, air rushing in and out of my nose, my chest expanding, contracting, until my concentration leaves me light headed, dizzy with emotions. Wonder, dread, fear, hope rise and fall like hot air balloons. Somewhere, a doctor breaks my father’s rib and carves out a piece of lung sick with cancer. I sip tea that is strong and bitter, fold clothes, wait. Have I ever told you that I once held a lung? It was a small set of warm, pale pink lungs that minutes earlier were inside the chest of a rabbit but were now cupped in my child hands. My dad was butchering a rabbit and was explaining to me the animal’s innards as he pulled them out. I held the wind pipe up to my lips, breathed and I remember how strangely firm the lung felt, not at all like a light and hollow balloon. For more than a year doctors couldn’t figure out why my dad kept coughing; it turned out he was trying to hack out a tumor. Twice, yesterday, my mother texted with updates. Message number one: No news. Doing well… just w8ing. I’ll let u kno. Message number two: Only did lobectomy – removed lower lobe of rt lung + 1/2doz lymph nodes. Lab results on nodes due nxt week. Going 2 ICU 2nite. Doc says he is doing well. I’ll keep u posted. It’s easier to imagine the journey of that piece of tissue than to see in my mind’s-eye my father sleeping in a hospital bed, missing one-fifth of his lungs. I imagine a brightly lit operating table and a metal bowl nearby, sterile, antiseptic, cool to the touch even through surgical gloves. Someone drops the chunk of lung into it. Later, when the surgery is finished and the technicians are on break, they toss the lung to a crow hanging out in one of the cottonwood trees behind the hospital. 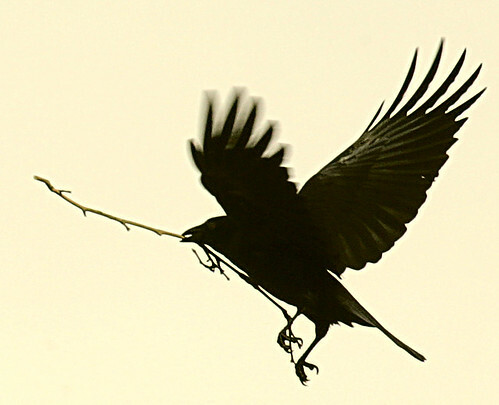 The crow swallows the lung and catches my father’s cough. Oh, breath-taking. All my best to you and your family. I love that last part Rachael. Yesterday when I was running I was thinking of your Dad. Sending love and healing.